You may be dealing with (or have dealt) with some serious, debilitating pain. You wake up in the morning with stiff knees and what feels like a brick in what used to be a healthy, flexible lower back. You finally make it downstairs and decide to reach into the overhead cabinet for a plate. Everything is finally looking up until, of course, you realize that you can't actually reach into the overhead cabinet. As a matter of fact, you can't reach much of anything, being that your shoulders barely move from your side. I've actually been there myself. Throughout the years I'd developed torn rotators cuffs in not one, but both of my shoulders. I also slipped a disk in the L5-S1 region of my lower back, which literally had its way with me. Bad shoulders is one thing, but being unable to walk or stand (or sit for that matter) without pain is a whole different story. To complete the trinity of major joint issues, I developed hip bursitis and referred knee pain. This often still pops up today (sitting at a desk 12+ hours a day will do that to you), which is why I spend time EVERY DAY doing pre-emptive hip mobility and flexibility work. Of course, there are certain circumstances tied to the development of these conditions. I injured my left and right shoulders in a swimming accident and a fight, respectively. As for my lower back, I first ruined it with bad form doing sumo deadlifts (during one of my many short-term, ill-fated weight loss attempts). It got better for a while until I slipped on water running down the stairs in my good ol' college frat house. After that, my back was officially shot, and I could barely walk 2 blocks without unbearable pain. But I never did anything to make it better. I chalked up my unbearable pain to these past incidents and to overall bad luck. I never realized that there were contributing factors that came even before the one-off injuries happened. Basically, my shoulders would probably not have torn so easily had I actually walked with good, upright posture, and if I had had strong rear deltoids and stabilizer muscles. As a lazy, overweight man who either laid on a couch most of the day or sat slumped over his computer, these "healthy" strong shoulder muscles were practically nonexistent. I had terrible posture 24/7, and as a result of not putting in any effort to deal with these structural issues, just furthered my obesity and chronic pain. a. The resulting inflammation and joint stress from poor nutrition, high Omega 6 intake, high refined food intake, and high sugar intake will easily do you in. b. High consumption of nightshades (we'll discuss these soon) can also be a major cause of worsening pain. b. Without adequate mobility and movement, our muscles weaken and atrophy, making us more prone to injury and pain. a. Rounded shoulders, crooked backs, squatting with knees going way past the toes...the list goes on. a. My idea of using supplements at the time was trying creatine and fat burners to build muscle and lose weight, and popping Motrin every 2 hours to stop the pain. c. As for most stimulant fat burners, they're nothing but caffeine and clever marketing. I could do better at Starbucks, and not ruin my heart in the process. Only take caffeine in supplements when it has additional benefits. For example, studies show EGCG green tea extract taken with caffeine significantly improves fat loss and would be a smart use of a stimulant fat burner. d. The Motrin and myriad of other pain relievers I used? Nothing but a convenient method to numb the pain, rather than dealing with it head-on. Long story short, when I realize the error of my ways, and actually spent time fixing them, I experienced dramatic results. Basically, I was able to finally find a way out via a very 'secret method' that most people don't even consider to be an option. When applied consistently, these somewhat unorthodox methods helped me completely rid myself of joint pain, lose over 75 pounds, eliminate fatigue, reduce what used to be extreme anxiety, and much more. It worked wonders for me, and I know it can do the same for you. As for my chronic joint pain, I would estimate over a 50% reduction in pain in just 3 weeks. And this is just by using the nutritional guidelines below. Since adding in comprehensive rehab techniques (discussed in the exercise guide) and smart supplements (such as Turmeric, Ginger, and more in InvigorateNOW), my pain has become almost non-existent. Glad you asked. It's all comes down to 3 main steps. These steps are quite similar to the whole health weight loss philosophy of this book in general, with ONE distinction. I'll discuss the difference in just a moment. 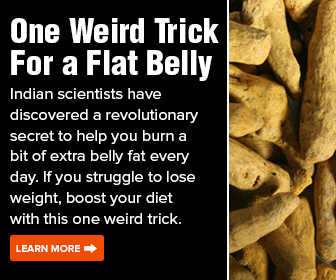 Step 1: Eat a processed-food free diet, a.k.a. EAT REAL FOOD, that does NOT harm your body. Step 2: Do (some) exercise! Very often, the more inactive you are, the worse the pain gets. InvigorateNOW product, we're going to jump right into the nutrition aspect. You'll notice the nutrition is similar to what I've been telling you so far, since this is what works exceptionally well for inflammation relief. But you'll also notice some major distinctions, since we're seeking to cut out every possible source of discomfort. Test this out for 30 days straight, and your pain WILL start to disappear (you usually start seeing benefits in less than 2 weeks). Also, don't be surprised if others measures of health start improving dramatically. In other words, "You're gonna like the way you feelÃÂÃÂÃÂÃÂ...I guarantee it". (My painfully unclever adaptation of the Men's Wearhouse commercials). Read the previous article about "Food Planning For Maximum Fat Loss In Minimum Time"
Read the next article about "Nutrition Basics for Fast Pain Relief (and Weight Loss)"